Not getting drafted into Australia's AFL was the 'greatest disappointment' of Michael Dickson's young life. But if his dream of playing professional Australian Rules football had come true, he may never have tried American football. 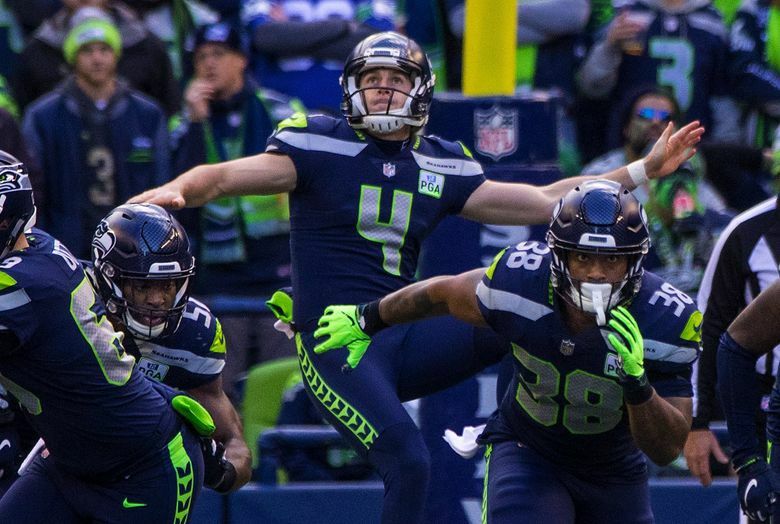 All the successes of Michael Dickson’s initial NFL season — earning the first Pro Bowl bid for a rookie punter since 1985 while setting a slew of Seahawks records and achieving cult status along the way — are rooted in his greatest disappointment. 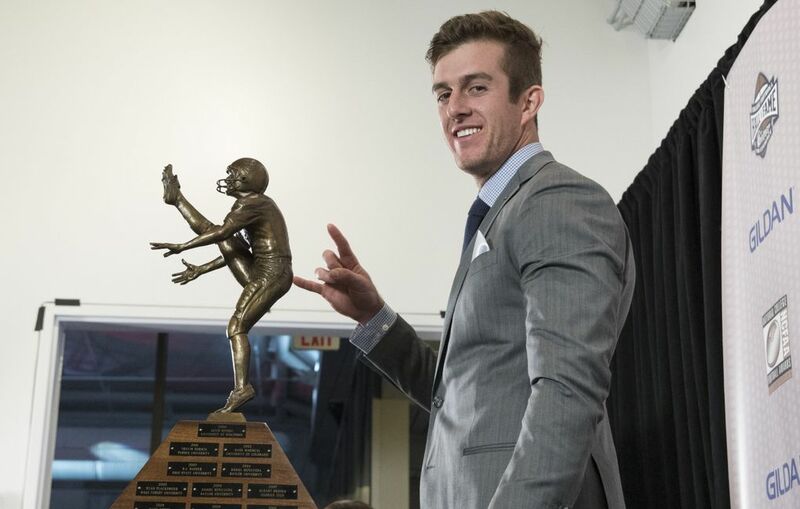 On a recent day at the team’s training facility, Dickson marveled at the twists of fate that led to him sitting in an NFL locker room, regarded as a budding star at his position at the age of 22. If he’d been taken in the Australian Football League draft on that fateful November day in 2014, Dickson says, none of this would ever have occurred. Had he followed through with what was his original plan after not being drafted — to earn a business degree at the University of Technology Sydney — he probably would not be sitting here wearing a Seahawks uniform, preparing for his first playoff game against the Dallas Cowboys. But not only had Dickson gone undrafted, he also hadn’t been selected for any AFL team’s “rookie list’’ — in which he would be a member of a team and could practice but not play. Not being drafted, Dickson said, wasn’t necessarily a surprise. But not being on a rookie list, that was something else. Dickson, a native of Sydney, remembers first kicking an Aussie Rules football around when he was 6. He dreamed of playing Australian Rules football for years, and had been part of the Sydney Swans Academy since he was 13, part of the first group of players invited to join the academy when it was formed by the Swans to build the sport and groom teenage kids to become their future. The Swans are one of the oldest, and of late most successful, AFL teams. Dickson also played for years with other Australian Rules teams, mainly as a defenseman, while training at the Swans’ academy. “There were years I would be on three or four teams,’’ Dickson said. Suddenly, at age 18, came the splash-in-the-face dose of reality that his childhood dreams might already be dashed. “So I was like ‘all right, time to get to school,’’’ he said. The year leading into the draft had also been rough, he says, with some things happening that made him question where his future was headed. “I kind of lost my love for it my last year,’’ Dickson said. Then, a Plan B surfaced through something of a serendipitous moment. Nathan Chapman, a former AFL player who had a brief stint with the Green Bay Packers in 1994, runs Prokick Australia, a program in Melbourne designed to help AFL players transition to American punting and kicking. Days after the AFL draft in November 2014, Chapman just happened to be in Sydney to scout a friend of Dickson’s, a player named Oscar Bradburn. Dickson tagged along with Bradburn and did some kicking of his own, earning an invitation to join Prokick. But that also meant a big decision — moving the 550 miles or so from Sydney to Melbourne and taking a leap into the unknown. A long talk with his parents helped him make the call. 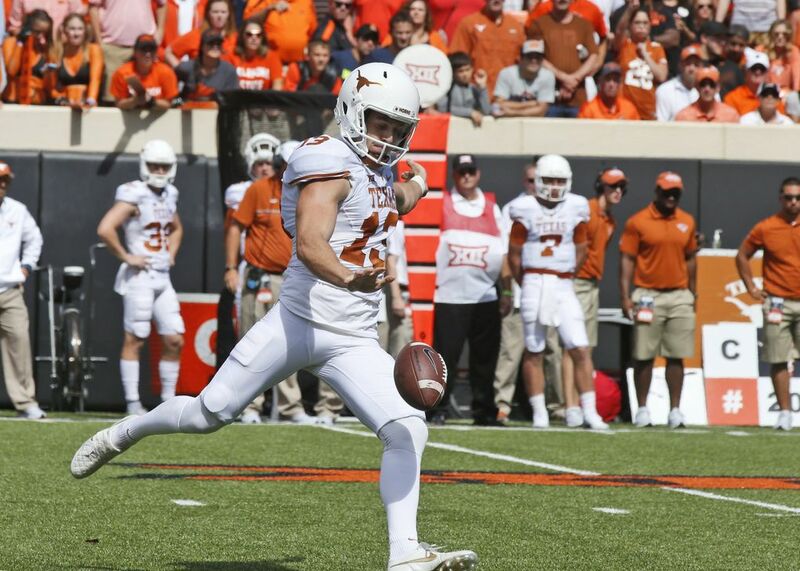 A few months later, that led to Dickson’s highlight film being sent to Texas, which was suddenly in need of a punter. That was followed by a quick recruiting visit and another quick decision to uproot his life. Nine months after thinking maybe he’d just go get a business degree, there was Dickson, kicking in an American football game for the first time in his life at Notre Dame Stadium. Dickson could have kept at Aussie Rules football, and Chris Smith, general manager of the Swans, says he still wonders what would have happened if he did. The 2014 AFL draft was regarded as particularly strong, and all drafts of men aged 18-or-so are crapshoots to an extent, anyway. Smith says Dickson just needed another year or two to develop. But when Dickson informed him he was giving up Aussie Rules football to try punting, Smith thought it made all the sense in the world. From his first day in the academy at age 13, Dickson had been the best kicker of the group, having at one point earned a Golden Boot award as the best kicker in his age group. Dickson says he began honing it at age 6 in practices with his stepfather, Stephen Baum, who was a huge AFL fan. He played soccer for a while but says the AFL was always his preference. Kicking is a primary skill in the sport, both for scoring goals and in passing it from one player to another. An NFL football is shaped differently than the oval Aussie rules ball, and Dickson says there was a little bit of a transition when he switched sports. But from his precision punting to the drop kicking, all the tricks Dickson has unveiled this year can be traced to his AFL days. 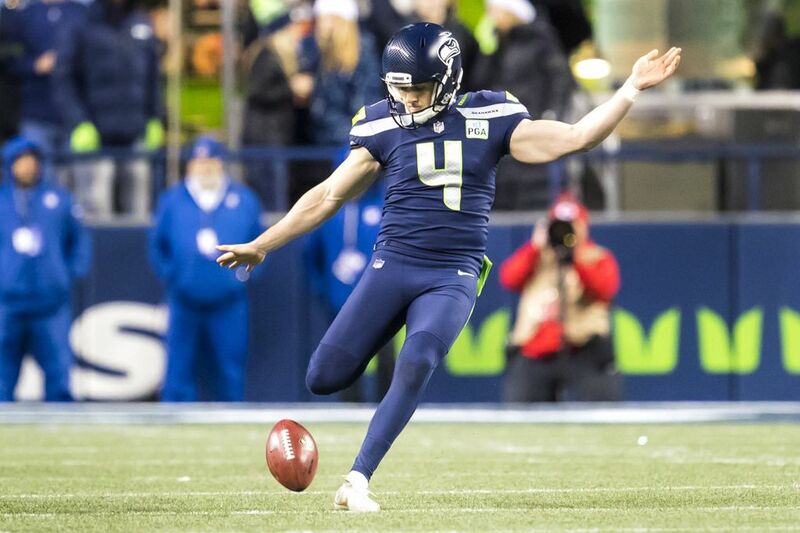 In his rookie season, Dickson has set a Seahawks record for punting average (48.2) and net punting (42.5) while uncorking one punt of at least 50 yards or longer in all but one game. Has Seahawks special teams coach Brian Schneider ever seen anything like that before? “As far as just pure ability to just do something (kicking a football), I’ve never been around that, no,’’ says Schneider, who has been coaching special teams at the college or NFL level since 1994. Schneider has several times told the story of being sold on Dickson when attending his Pro Day at Texas last spring. Dickson had declared early for the draft, a rare move for a punter. The Seahawks had seen his film and reviewed his stats. But on Dickson’s Pro Day, Schneider says he got a feel for what it would really be like to work with Dickson on a regular basis. It was raining heavily, so many of the drills were held indoors. But that wasn’t going to work for Dickson, whose punts were just going to hit the ceiling. Dickson offered to go outside anyway, no matter the conditions. Schneider says Dickson has been the same way with the Seahawks — the only problem they have had is trying to convince Dickson to work a little less hard. Dickson’s Seahawks career hit its first little bump in the road last Sunday against the Cardinals, when he had one punt deflected and another blocked, which proved critical in allowing Arizona to hang around before Seattle finally pulled it out, 27-24. Schneider says the problems were team-wide and have been fixed. Still, he knows Dickson is going to take it personally. As his history shows, Dickson has dealt with disappointment before and come out the other side. “I’m so grateful that it all happened,” Dickson says, remembering the events of four years that led to his career change.